First course was smoked hake, warm nicoise salad topped with a boiled quail egg and citrus salsa verdi. This was beautiful and light with great flavours. Its matching beer was a brilliant choice in Mescan Blond. A delicious beer weighing in at 5.5% with a great creamy smooth finish. 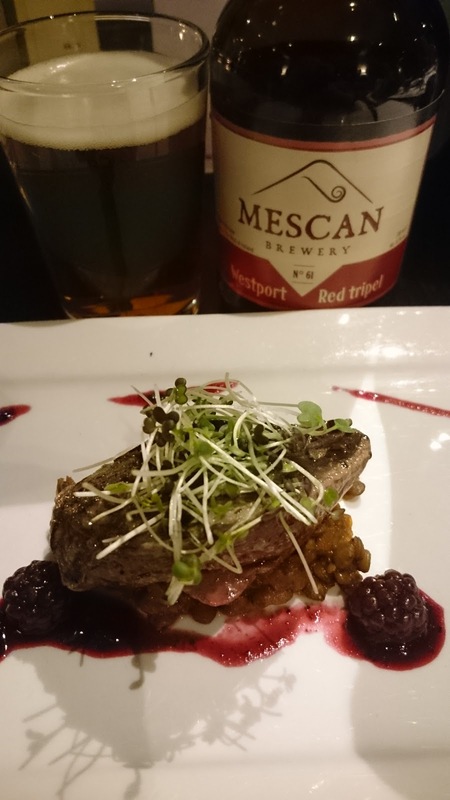 Up next was a wonderfully prepared Pan seared wood pigeon, puy lentil with blackberry jus and a micro herb salad. This was so very tasty. To accompany it was Mescan Tripel. I really enjoyed this course but personally felt the beer didn’t quite suit the dish. Both are beautiful, just not together. 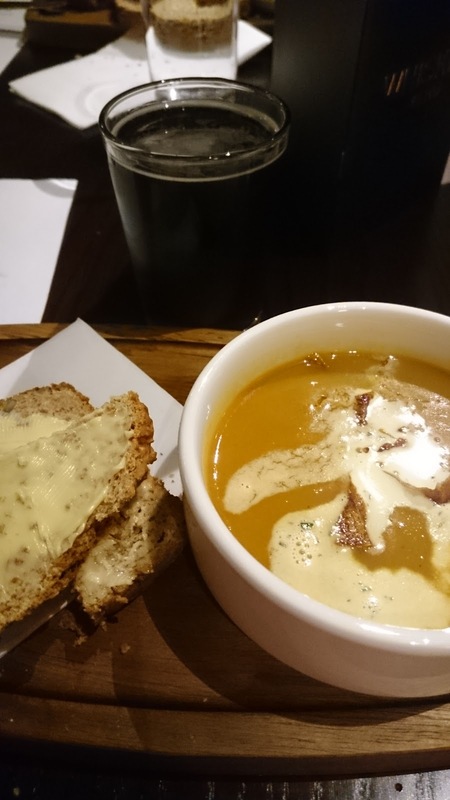 Our third course was a baked sweet potato and cumin soup with sweet potato crisp and home-made bread. Young Dave Guilfoyle of Bo Bristle brought along a specially brewed beer for the evening. A simply stunning Strong Amber at 7.8%. I thought this was the perfect match. There was a slight kick to the soup that was complimented by the sweet caramel goodness of the beer. 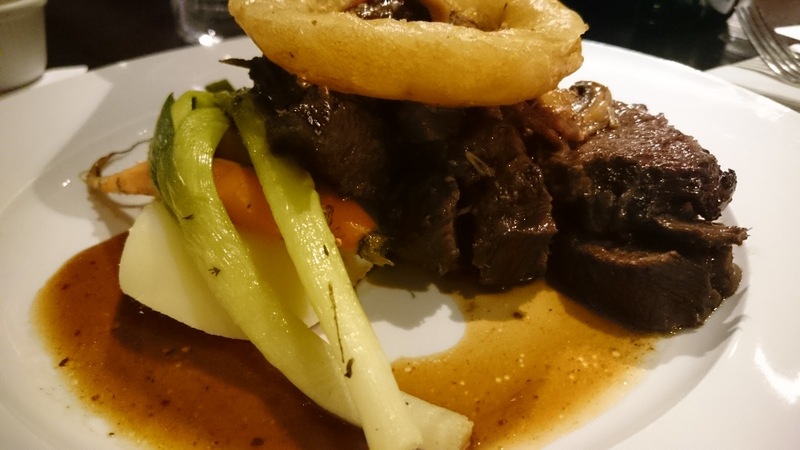 Following that we enjoyed Braised beef cheek with horseradish mash, baby veg with wild mushroom and smoked lardon jus. The cheeks were so tender and mouth watering and the mash was gorgeous. Such a generous portion size. This was paired with Beoir Na Nollaig by Mescan. A lovely strong dark ale with sweet spicy taste. Last but certainly not least was dessert! 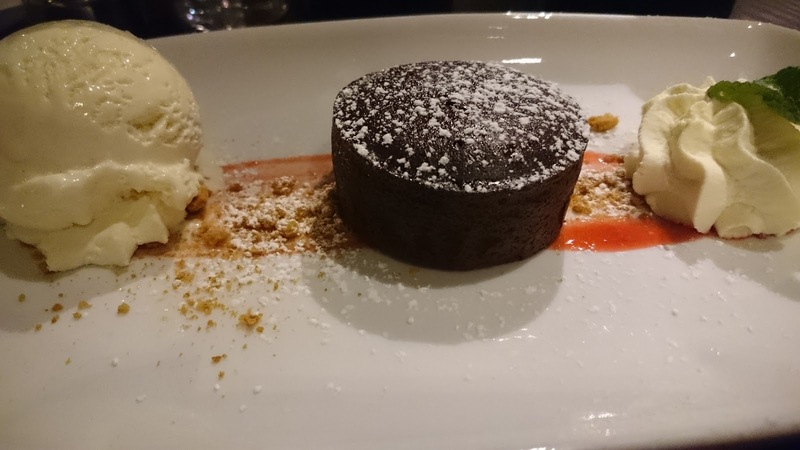 An amazing warm chocolate fondant with ginger nut crumble and vanilla bean ice cream. This was pure heaven. I loved how it oozed as soon as i took my first spoonful. 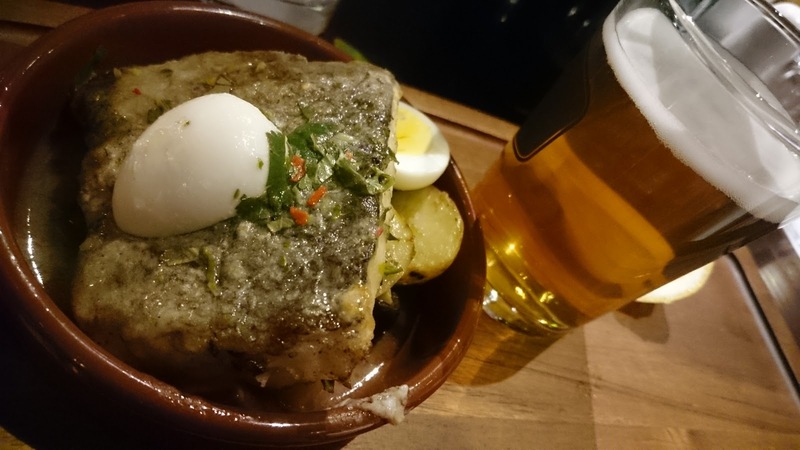 The beer chosen for this dish was a new one from Black Donkey. A Biere De Garde called Arigna #1 at 7.5%. This one was not to my taste but I know Wayne really enjoyed it. This was a fantastically well organised event that offered amazing value for money. 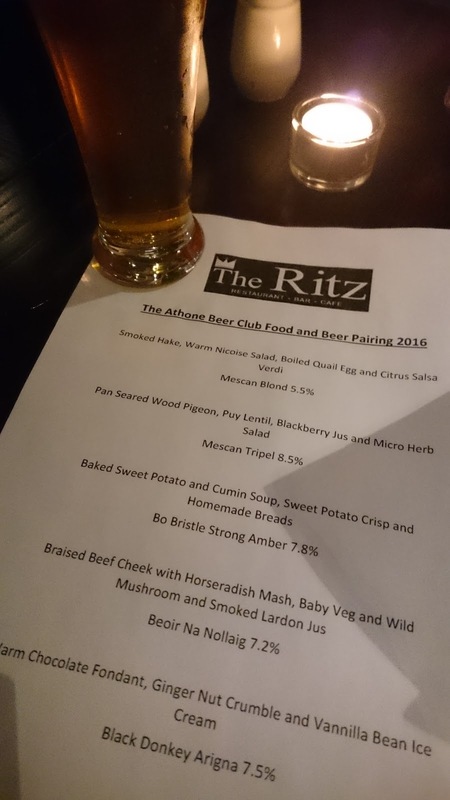 We enjoyed these five stunning courses with the accompanying beers for €35. Well done to Simon and all the staff at The Ritz. We’ll definitely see you again!